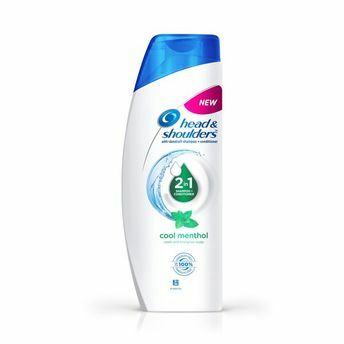 Head & Shoulders Cool Menthol 2-in-1 Shampoo + Conditioner is specially formulated to have all the dandruff fighting power you expect from Head & Shoulders, while combining the benefits of both shampoo and conditioner in one bottle thus making your hair upto 100% Dandruff Free and surprisingly smooth. Cooling menthol and our dandruff fighting ingredients leave your hair clean, with a fresh scent that lasts. Explore the entire range of Shampoo available on Nykaa. Shop more Head & Shoulders products here.You can browse through the complete world of Head & Shoulders Shampoo .Alternatively, you can also find many more products from the Head & Shoulders Cool Menthol 2-in-1 Shampoo + Conditioner range.